Enjoying a Bi-Rite Creamery cone with MKFIII still nestled inside. 12 weeks ago I became a mother runner. It still feels surreal. (I’m a mom? I’m a mom!) 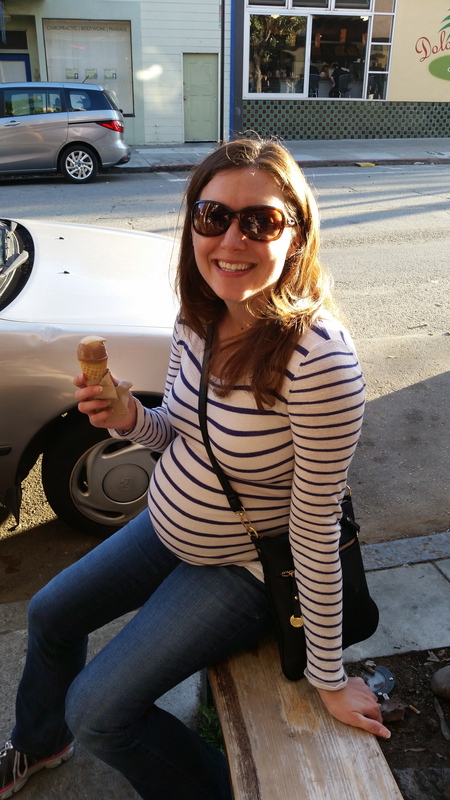 One day I was standing in line for over 20 minutes with Michael K. Farrell to get a scoop of salted caramel ice cream (Bi-Rite Creamery, named the best ice cream spot in San Francisco by Yahoo! Travel), and the next day we were answering to new names: Mommy and Daddy. MKFIII’s birthday was a roller coaster of emotions. (Is it possible for the same day to be the best and the worst day of your life?) My water broke 6 weeks early, so Michael K. Farrell and I rushed to the hospital. 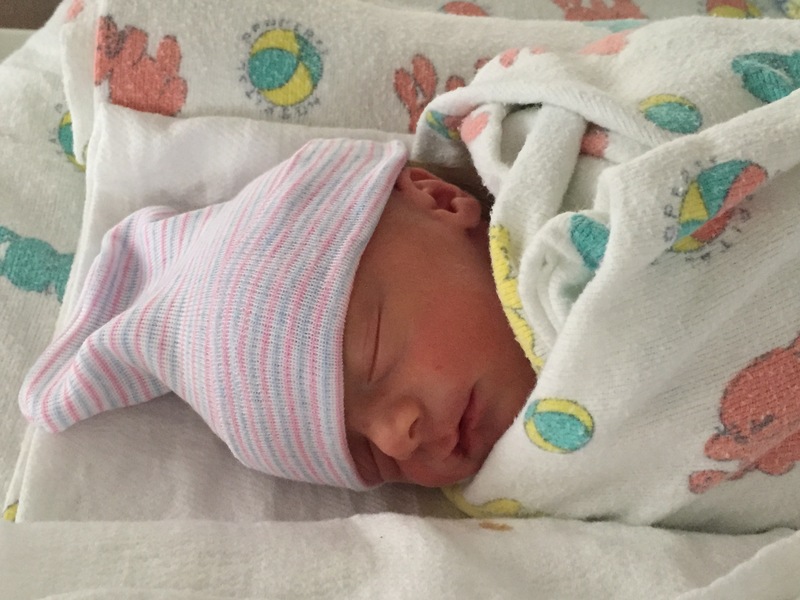 Shortly after arriving, I was wheeled into a surgery room for an emergency C-Section. It wasn’t exactly the birth plan I’d gone over with my OB, but the little guy had to come out right away. Nonetheless, MKFIII entered the world with a healthy scream, and he has been making me smile ever since. He’s here, we’re happy, and that’s what really matters. I have yet to lace up my sneakers for an actual run. But MKFIII and I have been racking up the miles walking along the Embarcadero. I have big plans to buy a new pair of shoes and a proper jogging stroller. Until then… I’ll be working on getting the nursing and napping schedule down (sleeping through the night would be nice!) and focusing on my core—my abs still haven’t finished knitting back together and my lower back is getting tired of doing all the work. I’ll be doling out my “get back in shape” tips and mother runner advice soon. And I’d love to hear yours—please share in the comments! One day at a time, mommy! You and MK3 will be racing through the city in no time! Welcome back Kim. What a beautiful baby boy. I’m sure he’ll be a runner too just like his mother, father, and grandfather.